The foundation of Brilltech was set down in the year 2007, with the mean to wind up the main business sector player. The organization has grow up reliably under the direction of our honourable M.D and accomplished recognized position as the conspicuous Electrical Project Contractor, situated in Uttar Pradesh. Notwithstanding this, the organization is additionally numbered in the midst of the dependable Power Transformer Manufacturers, Suppliers and Exporters from India. The organization is achievement included in serving the best items and administrations to its benefactors. The sister concerns, specifically Brilltech India Exports Pvt. Ltd. are additionally occupied with business exercises and getting a charge out of sound business sector rivalries. Brilltech is ISO: 9001:2008 Certified by JAS-ANZ for "Building, Supply, Installation, Testing and Commissioning of Electrical Power Distribution and Control Equipment". The items offered by Brilltech are tried and redesigned appropriately, to meet the prerequisites of composed parameters and undertaking details. Brilltech Engineers Private Limited India is an standout among the most noticeable group concentrated fundamentally giving Electrical Solutions, Electrical Consultancy, Electrical Turnkey Solutions across India and its various cities like, Andhra Pradesh, Chhattisgarh, Jharkhand, Haryana, Gujarat, Mizoram, Orissa, Rajasthan, Arunachal Pradesh, Karnataka, Jammu and Kashmir, Manipur, Meghalaya, Assam, Goa, Delhi, Nagaland, Madhya Pradesh, Punjab, Bihar, Tripura, Kerala, Tamil Nadu, West Bengal, Sikkim, Maharashtra, Uttarakhand, Uttar Pradesh. The group is working world wide and Africa, Uganda, Senegal, Djibouti, Cote d'Ivoire, South Africa, Tunisia, Ethiopia, Burundi, Seychelles, Niger, Sierra Leone, Botswana, Cape Verde, Liberia, Mozambique, Morocco, Mauritius, The Gambia, Central African Republic, Lesotho, Eritrea, Chad, Madagascar, Zimbabwe, Mali, Sao Tome and Principe, Kenya, Malawi, Ivory Coast (Cote d'Ivoire), Benin, Tanzania, Rwanda, Swaziland, Cameroon, Libya, Gabon, Mauritania, Nigeria, Guinea-Bissau, Zambia, Ghana, Equatorial Guinea, Comoros, Burkina Faso, Algeria, Namibia, Angola, Togo, Guinea, Somalia, Middle East Kuwait, Egypt, Turkey, Lebanon, Jordan, Saudi Arabia, United Arab Emirates, Cyprus, Oman, Bahrain, Qatar, Iraq, Yemen, Israel, and so forth clients are engaged to this inventive worth driven organization, which offers and appropriates Electrical Products and Services to clients around the world. With advancement and nonstop change at the heart of its business execution. 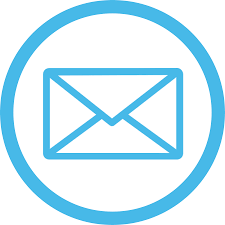 Brilltech means to make esteem by offering a separated item range bolstered by unrivaled client administration. With a rich involvement in Project Management and Power Plant and Power Sub Station Setups covering an extensive variety of Greenfield and Brownfield Projects, we have built up ourselves as an organization that embraces Turnkey Projects for diverse divisions and applications like Electrification, Consultancy and Designing and so on. The accomplishment of these Turnkey Projects lives on the essentials of steady exertion, spot on assets, proactive state of mind, consistent preparing and inspiration. The Brilltech Group is capable and acknowledged to deal in various electrical solutions for various electrical panels like medium and low voltage power panels, electrical transformers, sub stations, bus ducts, bus bars, feeder pillars panels, electrical DG/ generator sets, cable tray, cable, chemical earthing solutions/ systems, lightning protection system, meter boards and many more. Electrical contractors along with rising mains and bus bar trunking are also the part of the field of activities by the group. Brilltech Engineers Private Limited India are one of the most prominent Group focused primarily providing Electrical Solutions, Electrical Consultancy, Electrical Turnkey Solutions in India, Andhra Pradesh, Chhattisgarh, Jharkhand, Haryana, Gujarat, Mizoram, Orissa, Rajasthan, Arunachal Pradesh, Karnataka, Jammu & Kashmir, Manipur, Meghalaya, Assam, Goa, Delhi, Nagaland, Madhya Pradesh, Punjab, Bihar, Tripura, Kerala, Tamil Nadu, West Bengal, Sikkim, Maharashtra, Uttarakhand, Uttar Pradesh, Africa, Uganda, Senegal, Djibouti, Cote d'Ivoire, South Africa, Tunisia, Ethiopia, Burundi, Seychelles, Niger, Sierra Leone, Botswana, Cape Verde, Liberia, Mozambique, Morocco, Mauritius, The Gambia, Central African Republic, Lesotho, Eritrea, Chad, Madagascar, Zimbabwe, Mali, Sao Tome and Principe, Kenya, Malawi, Ivory Coast (Cote d'Ivoire), Benin, Tanzania, Rwanda, Swaziland, Cameroon, Libya, Gabon, Mauritania, Nigeria, Guinea-Bissau, Zambia, Ghana, Equatorial Guinea, Comoros, Burkina Faso, Algeria, Namibia, Angola, Togo, Guinea, Somalia, Middle East Kuwait, Egypt, Turkey, Lebanon, Jordan, Saudi Arabia, United Arab Emirates, Cyprus, Oman, Bahrain, Qatar, Iraq, Yemen, Israel, etc is a customer focused, innovative value-driven company, which offers & distributes Electrical Products and Services to customers worldwide. With innovation and continuous improvement at the heart of its business performance, Brilltech aims to create value by offering a differentiated product range supported by unrivalled customer service. With a rich experience in Project Management and Power Plant and Power Sub Station Setups covering a wide range of Greenfield and Brownfield Projects, we have established ourselves as a company that undertakes Turnkey Projects for different sectors and applications like Electrification, Consultancy & Designing etc. The success of these Turnkey Projects resides on the fundamentals of consistent effort, spot on resources, proactive attitude, regular training and motivation. Brilltech is widely acclaimed in the market for the availability of a comprehensive range of Electrical Transformers. The range includes Oil Filled Transformers, Special Purpose Transformers, and Dry Type Transformers. All these are manufactured using genuine grade raw materials and components that ensure noteworthy features like high durability, tensile strength, compact design, excellent service life and low maintenance cost. Complete range in electrical transformers include Dry Type Transformers, Cast Resin Transformers, Oil Filled Transformers, Distribution Transformer, Power Transformer, Isolation Transformer, Amorphous Transformer, Converter Transformer, Furnace Transformer, Power and Distribution Transformers, On Load Tap Changer Dry Type Transformer, Europa Series Distribution Transformer, Special Purpose Transformers, Electrical Power Transformer, High Voltage Transformers, Industrial Transformers, Three Phase Transformer, Oil Immersed Power Transformer, Substation Transformers. The Electrical Power Transformer is also a perfect match to the international norms when it comes to quality and performance. The company is also providing Electrical Transformers to various industrial sectors in India and abroad. Moreover, we are acclaimed as one of the eminent Electrical Transformers Manufacturers, Suppliers and Exporters from India. 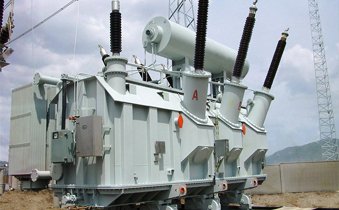 The availability of the transformers at market leading prices and within the stipulated time frame are also the demand enhancing factors. Brilltech is widely popular in the market for the availability of the Generator Set that is designed as per the international quality guidelines. The array is huge as Power Generator, Diesel Generator set, Silent Diesel Generator, Gas Generator Set, Mobile Generator, and Trolley mounted DG Sets, are included to meet the specific requiremens5t of the buyers. These sets are available in various voltage range to meet the exact requirement of the application areas and ensure excellent performance. The use of premium quality raw materials in the manufacturing also ensures notable features like high durability, tensile strength, robust construction, easy operation, low maintenance cost, etc. Complete range in Electrical Diesel Generator / DG sets include Power Generator, Diesel Generator Set, Silent Diesel Generator, Gas Generator Set, Mobile Generator, Trolley Mounted Mobile Generator / Gensets With Acoustic Enclosure, Weatherproof Diesel Generator / Gensets, Air Cooled Diesel Generator / Gensets, Portable Diesel Generator / Gensets, Industrial Power Generator, Sound Proof Generator, Backup Power Generator. The affordability and timely availability has also played a crucial role in the enhancement of the market demands of the Diesel Generator Set. The buyers are also facilitated with the availability of the generators that are a perfect match to the international standards when it comes to quality and performance. Moreover, we have carved a niche as one of the forefront Gas Generator Set Manufacturers, Suppliers and Exporters from India. A Substation is a component of an electrical transmission and distribution system. The main work of Electrical Substation is to transform voltage from high to low or can perform various other functions. Among the generating station and consumer, electric power might low all the way through various substations at various voltage levels. We offer various range of Electrical Substations include Package Substation, Power Substation, Mobile Substation, Switchyards, Solar Power Plants, Medium Voltage Substation, Unitized Substation and 132kv Substations. All these Power Substation are possessed and functioned through an electrical substitute or might be possessed by prominent industrial or commercial clients. 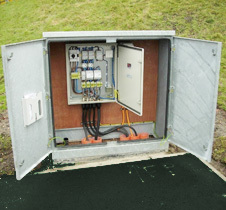 Our large arrays of Substations are extensively used in industrial, commercial and residential sectors as well. 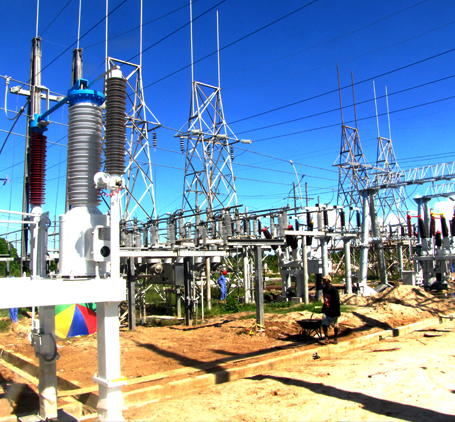 Apart from above, our quality approved Substations are highly equipped and are applauded due to its high efficiency. As such, we are standing amongst the trustworthy Manufacturers, Exporters and suppliers of Substations from India. 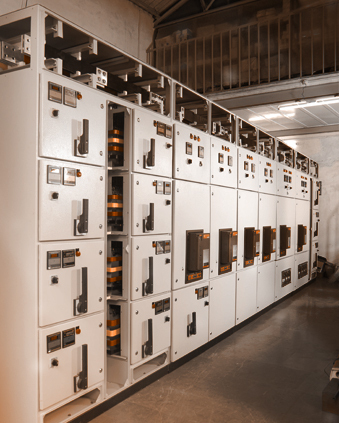 Complete range of Medium and Low Voltage Power Panels include Vacuum Circuit Breaker Panel, Power Distribution Boards / Panels / Box, Switchgears Up To 220 KVA, Electric Power Panel, Motor Control Center Panel / MCC Panels, Medium and Low Voltage Panels, Swiveling Desk, Main LT / Low Tension Panels, Control Panel, Load Management Panel, Capacitor Panel, Relay Panel, 11 KV VCB / HT Panel, Marshalling Box / Panels, Construction Power Unit, Non-Draw Out Type Motor Control Center, Fixed Type PCC's & MCC's Upto 6300 Amp, Soft Starter, HT Panels, Power Control Center Panel, Motor Control Center Panel, Mimic Panel, PLC Automation Synchronizing Control Panel, Instrumentation Panel, VFD Control Panel, AMF Control Panel, Synchronizing Panel, LV Switchgear Panels, Power Distribution Panels, MV Switchgear Panels, Control Panel Board, Automatic Power Factor Panel, Process Control Panels, Feeder Pillar Panels, Pump Control Panels, MCB Distribution Boards, LT Distribution System, ACB / APFC Distribution Panels, Submersible Pump Control Panels, Automatic Transformer Control Panel, Load Management Panel, DG Set Synchronization Control Panel, Outdoor VCB Panels. The use of premium quality raw materials in the manufacturing of Electric Power Panel ensures noteworthy features like high durability, tensile strength, excellent performance and low maintenance cost. Moreover, we are reckoned as one of the supreme Power Control Panels Manufacturers, Suppliers and Exporters from India. Bus Duct is a type of fixed electrical conductor, available with a stranded metallic housing that is manufactured by Brilltech in fixed lengths and set up by running off the ends as one. We offer different types of Bus Ducts that encompasses Plug-in Bus Duct, Segregated Bus Duct, Cable Bus Duct and Isolated-phase Bus Duct. All these Electrical Bus Duct is mostly utilized in producing light and for highrise buildings as well. Moreover, these ducts are offered by us in several lengths and are having ability to add and remove a branch circumference without transferring voltage from the entire duct. Complete range of our bus ducts and bus bars include Segregated Bus Duct, Plug-In Bus Duct, Cable Bus Duct, Isolated Phase Bus Duct, Sandwich Bus Duct, 11KV Bus Duct, 33KV Bus Duct, Bus Duct Indoor Panels, Trunking Fitting, Bus bar Systems, Aluminum Bus bar, Copper Bus bar. We are one of the trustworthy Manufacturers, Exporters and Suppliers of Bust Ducts from India and that’s why our products are highly demanded by several manufacturing units and power company switch yards. Brilltech is acknowledged as one of the reliable Feeder Pillar Panel Manufacturers, Suppliers and Exporters from India. The use of premium quality raw materials and components in the manufacturing ensures noteworthy features like high endurance, robust construction, easy operation, resistivity to adverse conditions and low maintenance cost. The compliance of the panels with the international paradigms have also played a crucial role in the enhancement of the market demands. The buyers are also eased with the availability of the Electrical Feeder Pillars Panel at market leading prices and within the stipulated timeframe. Moreover, these are also available in various specifications to meet the exact requirements of the application areas. Our range of bus Trunking, electrical rising main is available in 415V segregated bus duct, non segregated bus duct forms. These products are manufactured under the guidance of expert professionals, who make use of high-grade raw material in the production process. Our Complete range of rising mains and bus bar Trunking system includes Bus Bar Trunking, Electrical Rising Mains and, Trunking Fitting, Bus bar Systems, Aluminum Bus bar Copper Bus bar. Moreover, the products offered by us are tested on various parameters to ensure their adherence with industry standards and norms. The demand of the Meter Board, offered by Brilltech, is very high in the domestic as well as international market as there is no alternative in terms of quality and performance. The use of high grade raw materials in the manufacturing ensures notable features like high durability, robust construction, easy operation, low maintenance cost, etc. The company is reputed as one of the supreme Electric Meter Boards Panel Manufacturers, Suppliers and Exporters from India. The buyers are also facilitated with the availability of the panels at market leading prices and within the stipulated time frame. Moreover, the buyers are also facilitated with the availability of the Energy Meter Board with features that comply with the international quality standards. Our complete range of electrical meter boards includes Domestic Electric Meter Box - Single Phase, Weatherproof Meter Boxes, Electric Meter Box - Three Phase, Replacement Electric Meter Box Door. With huge team of experts, Brilltech is bringing forth an exclusive array of Electrical Cables that include XLPE Cables, HT Cables, LT Cables, Mining Cables, FRLS Wires, Telephone Cables, House Wires, Instrumentation Cables, Submersible Cables, Thermocouple Cables, PVC Flexible Cables, Fire Survival Cables and Aerial Bunch Conductor Cables. 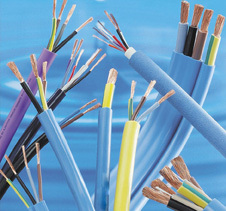 Our Complete range of electrical wire and cables include FRLS Wires, Airfield Lighting Cables, PVC Flexi Wires, HT and LT Distribution & Control Cables, XLPE Cables, HT Cables / High Tension Cable, Mining Cables,Telephone cables, House Wires, Instrumentation Cables, Submersible Cables, Thermocouple Cables, Copper Armored Cables, Cable Glands, Copper Wires / Cables, Electric Power Cables, Electrical Wires, Multicore Cables, PVC Cables, High Voltage Cables, Aluminum Cables Unarmored Cable, Single Core Cables, Jelly Filled Telephone Cables, Industrial Cable, Low Voltage Cable . Electric Power Cable manufactures by us, is insulated with PVC and is made under severe quality checking and parameters. It is accessible in various diameters and lengths on the basis of customers’ needs. Our firm is highly acclaimed for offering reliable and durable products and due to this; we are known as one of the noteworthy Manufacturers, Exporters and Suppliers of Power Transmission Cables from India. All these are mostly popular for their flameproof and high conduction and are manufactured by using advanced standards. Brilltech is a renowned organization that is engaged in offering exclusive Cable Trays that are used for several industrial purposes. All these are available in several ranges that include Galvanized Cable Tray, Ladder Cable Tray, Race Ways and Perforated Cable Tray. All these carefully design as per latest industrial; standards and norms that are easily in installation and are extremely cost-effective. All these Cable Trays are ideal for assisting huge volumes of cable networking and can easily provide smooth modulations around obstructions. Our complete range of Electrical Cable Trays and Raceways includes Galvanized Steel Cable Tray, Ladder Cable Tray, Perforated Cable Tray, Cable Raceways, PVC Cable Tray, Electrical Cable Tray, Stainless Steel Cable Trays, Mild Steel Cable Tray. Apart from above, all these cable trays can easily accompanied ceiling, floor, wall, etc. Customers of all across the world can avail them in various widths, lengths and heights as well. 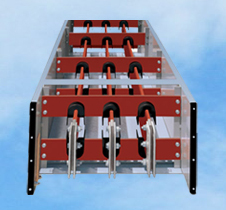 Such type of cable trays are widely used in electrical industry, construction industry and so on. Hence, owing to these calibers, we are considered as one of the foremost Cable Trays Manufacturers, Exporters and Suppliers from India. Brilltech has carved a strong presence in the market by offering its various ranges of Chemical Earthing like GI Earthing Strip, Copper Earthing Strip, Conventional Earthing, and Maintenance Free Earthing. All these products are completely safe to use and cause no harm. It is known for its low maintenance, insulated materials, high conductivity, easy installation and bulk availability. Our Complete range of chemical Earthing Electrode Solutions / Systems includes Copper Earthing Electrode / Rods, Chemical Earthing Compound, Chemical Earthing Electrode / Rods, GI Chemical Earthing, Copper Earthing / Grounding System, Galvanized Earthing Strip, Pipe Earthing System. Further, these are also known for its excellent electrical conductivity and long functioning life. Available in various sizes and dimensions, our electrical products have attracted several buyers from all across the globe. As such, we are enlisted as one of the prominent Chemical Earthing Manufacturers, Exporters and Suppliers from Noida (Uttar Pradesh), India. ESE Lightning Arrester is an electronic device that helps in protecting structures like high rise buildings from harm by tapping lightning flashes and transferring their current to the base. These arresters are extremely popular amongst our major clients and it’s all due to their high efficiency in toughest conditions. ESE Lightening Arrester is built from high quality material that guarantees complete safety and is easy in operation. ESE based LA is having a variety that comprises Advance Lightning Protection System and it is manufactured by using high quality materials. As per BS6651:1992 Standards and norms, it states that the provision of conventional lighting protection system must be followed very strictly. The Lightning Arrester provided by us is used in several electrical applications in order to save the system insulation from the harmful lighting effect. As such, Brilltech is considered as one of the top notch Manufacturers, Exporters and Suppliers of High Voltage Lightning Arrester from India.